ORLANDO – Dr. John Halamka, CIO of Beth Israel Deaconess Medical Center, traveled 400,000 miles in 2018 – jetting all over the world, from China to India to Scotland to Scandinavia. On those journeys, he's seen how care is delivered in very different ways. In China, for instance (he's been there 35 times), there is no primary care. Patients can self-select any provider for any ailment, leading to a scattered lifetime record across diverse provider sites. 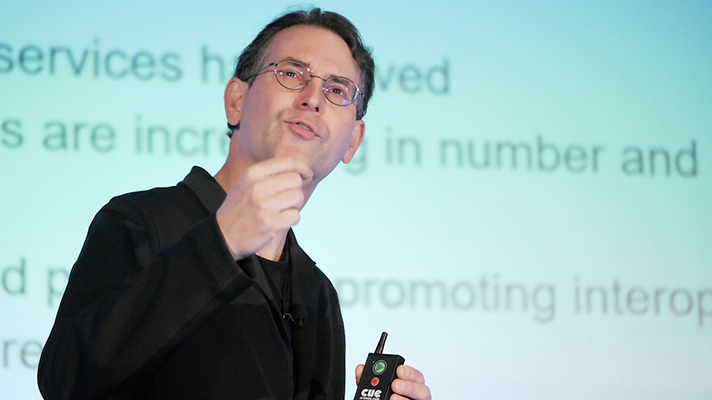 "This is not precision medicine," said Halamka, speaking Monday at the HIMSS19 Precision Medicine Summit. What is precision medicine? It's not just genomics. It's more than just social determinants of health (although those do play a much bigger role than many realize). At its core, he said, precision med is "the right care in the right setting from the right provider at the right time." That's a easier said than done, of course. There are big differences between diagnosis and treatment, and so much depends on demographics, genetics and other biomarkers, geography, climate and more. Data – structured, complete, well-governed and easy to see – will be key to precision medicine becoming more widespread, Halamka said: "On the precision medicine journey, having the data accessible is going to be hugely important." That's why Scotland, for instance, which has set up a single database for most of its 5 million-plus people, may be in a better position than, say, Australia, whose health record modernization was at first planned to be centered around PDFs and fax machines, said Halamka -- until he raised the alarm about the need for discrete and well-groomed data that can be mined by AI-powered analytics. The good news? "In 2019 tools are finally good enough to help us realize the promise of precision medicine," Halamka said. The challenge? There's also a lot of "interesting politics and policy issues that are part of our precision medicine journey. It's not just technology." But there are some urgent imperatives that will force those issues to sort themselves out soon, such as aging societies all over the world, falling birth rates, clinician shortages and, of course, wildly unsustainable healthcare costs, he said. In the U.S., we spend more than 18 percent of our GDP on "very imprecise care," Halamka added. That's got to change, of course, and has been slowly. The pace will quicken in the years ahead, with a profusion of emerging tech, he said. The internet of things and connected health devices are exploding; AI and machine learning are going mainstream; apps and cloud hosted services are ubiquitous; application programming interfaces are "increasing in number and sophistication," he explained. But more needs to happen to help harness those new technologies for this larger purpose on a wider scale: "Precision medicine means that we need to deliver in the context of workflow decision support to the clinician to do the right thing at the right time," said Halamka. "None of this happens without a policy driver." He listed some of the policy changes that could help achieve that – notably, ONC's long-awaited information blocking rule, which was being released at HIMSS19 as he spoke. Other policies, such as CMS' rules meant to reduce clinician burden and various other governmental nudges to encourage third-party innovation, will only help move the needle. The promise and potential are all there, but "it's still in this very squishy phase right now," said Dr. Adam Dicker, professor and chair of radiation oncology at Jefferson Institute For Digital Health. "We're not ready for prime time," agreed Jean Wright, chief innovation officer at Atrium Health. "Epic and Cerner are not at the leading edge of this," said Wright. There's plenty of valuable, envelope-pushing tools developed by some very creative smaller vendors, but "much of the technology is out there, but not in a plug-and-play format." That's creating a wellspring of genomic and social determinant information. And while interoperability and decision support still need to catch up, the data is there, more every day, and ready to be integrated into clinical workflows for personalized care.